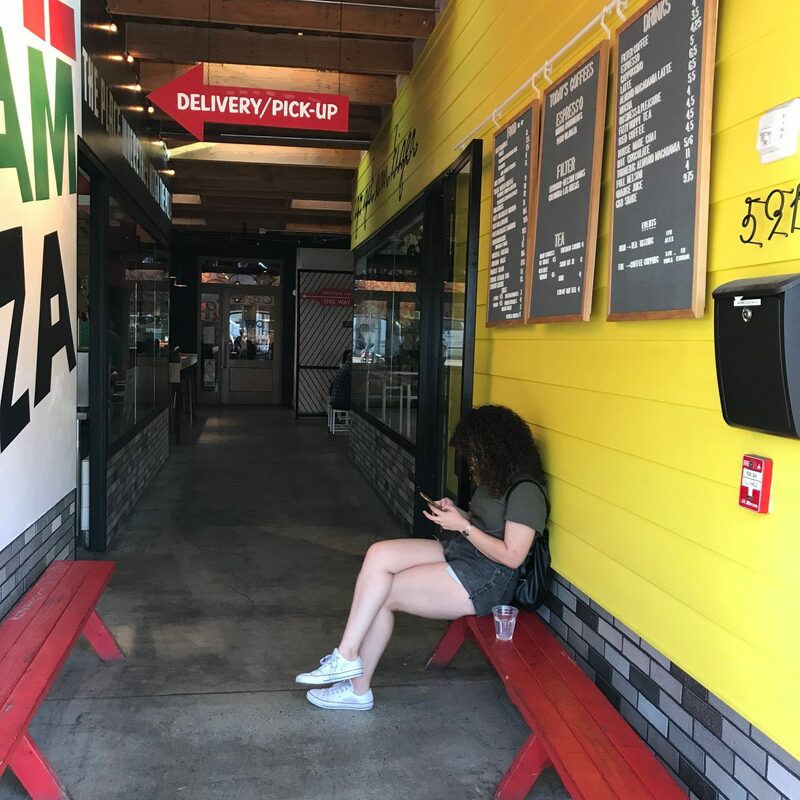 My husband happily left the beach early in support of The Devil’s weekly restaurant reviews and my quest to eat in every interesting restaurant within 50 miles of our home in Los Angeles. As usual, we drove through heavy traffic all the way to Highland Park which should require a passport since the distance from Malibu along with the ambiance is like being in another country. 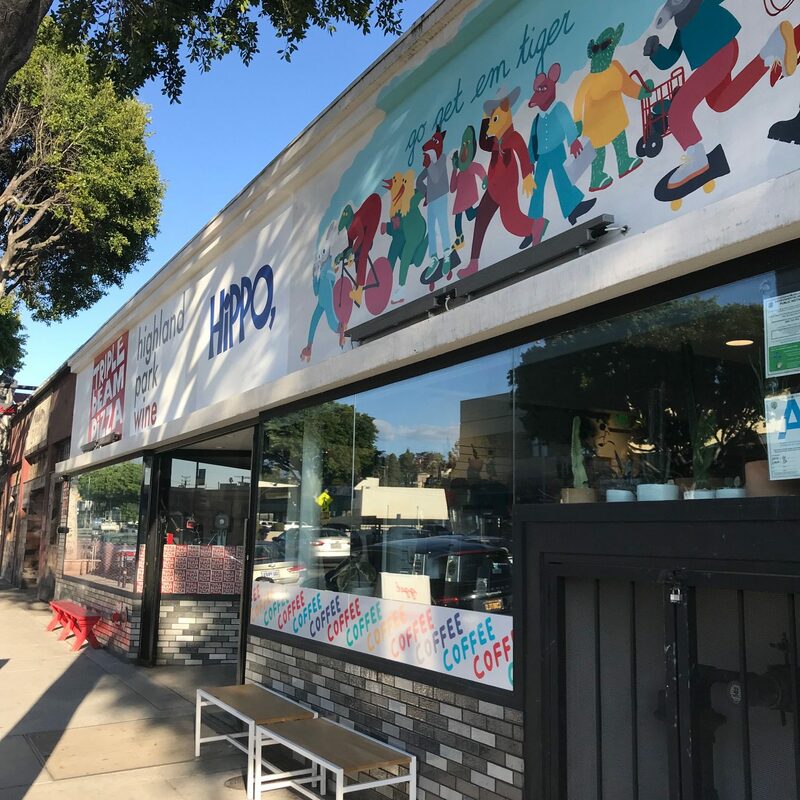 We arrived at HiPPO, located inside the former Highland Park Post Office (thus HiPPO). People, whose culinary preferences I respect, have raved about the restaurant. We were able to park in front with no fancy valet anywhere in sight…how refreshing. As we entered the painted mini mall there was a coffee bar located on the right and Triple Beam Pizza on the left. 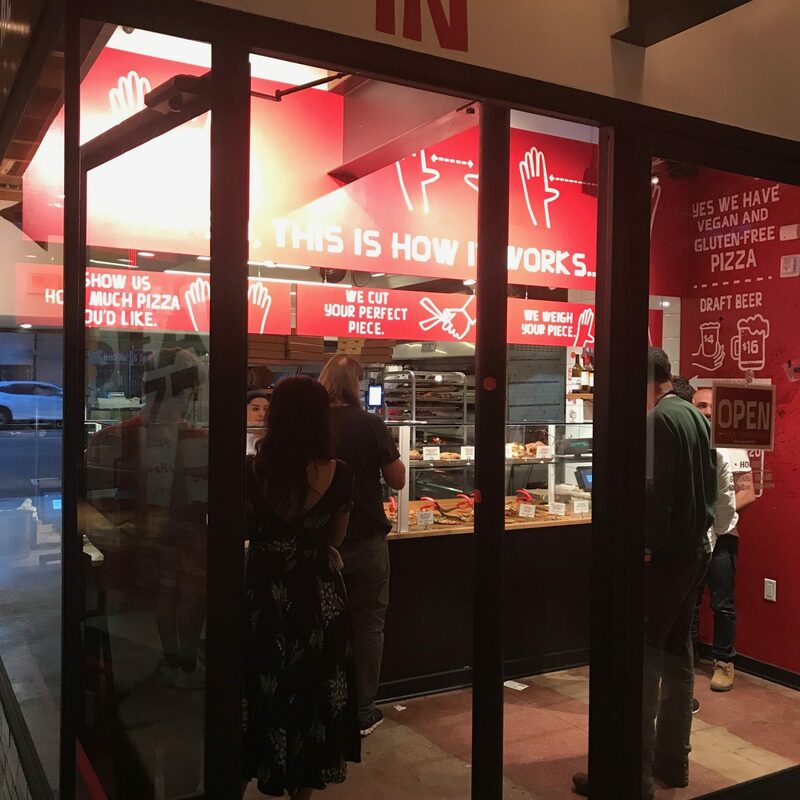 HiPPO, was straight back and the minute you entered the industrial infused interior you feel welcome. The decor in the 80-seat dining establishment is sleek in feel with cement floors, interesting pendant light fixtures, beamed and high ceiling. 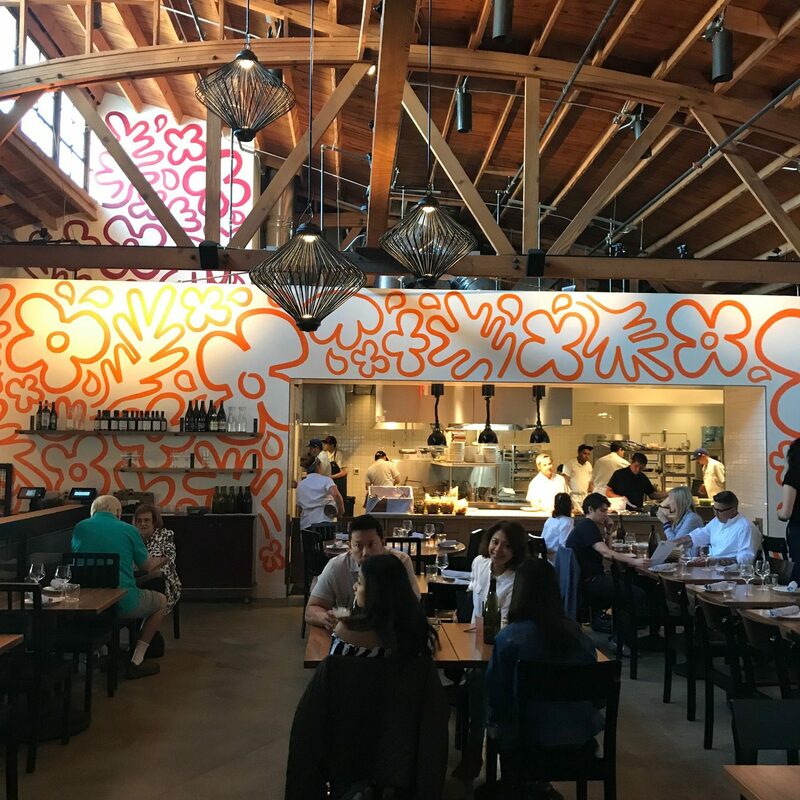 The flower power artwork on the walls is reminiscent of Keith Haring. 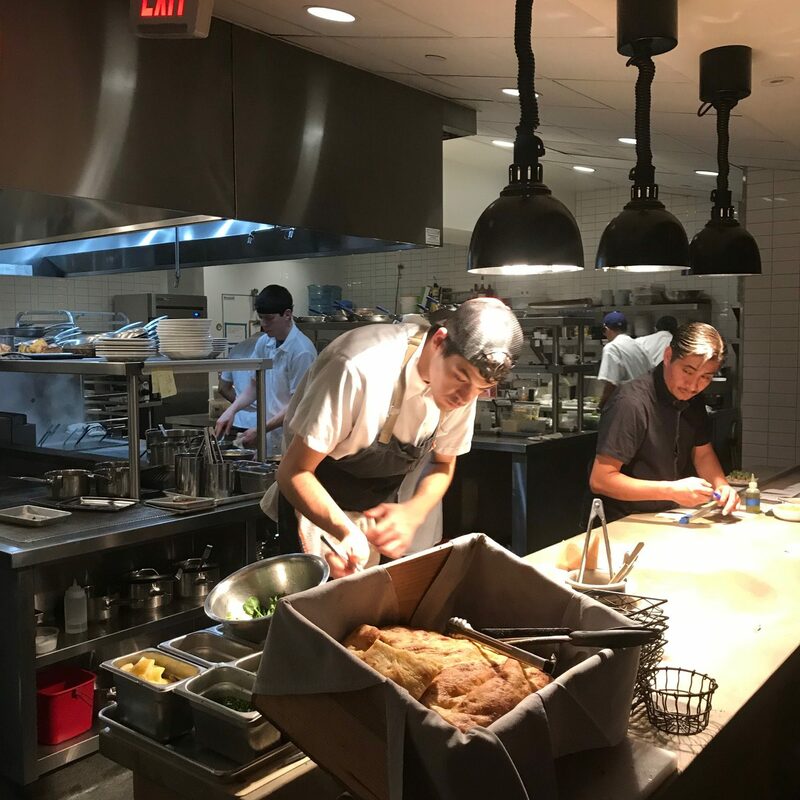 HiPPO, houses a huge open kitchen where the capable, dedicated staff are working away and on display. Our server, Crystal, was delightful and steered us in the right direction. 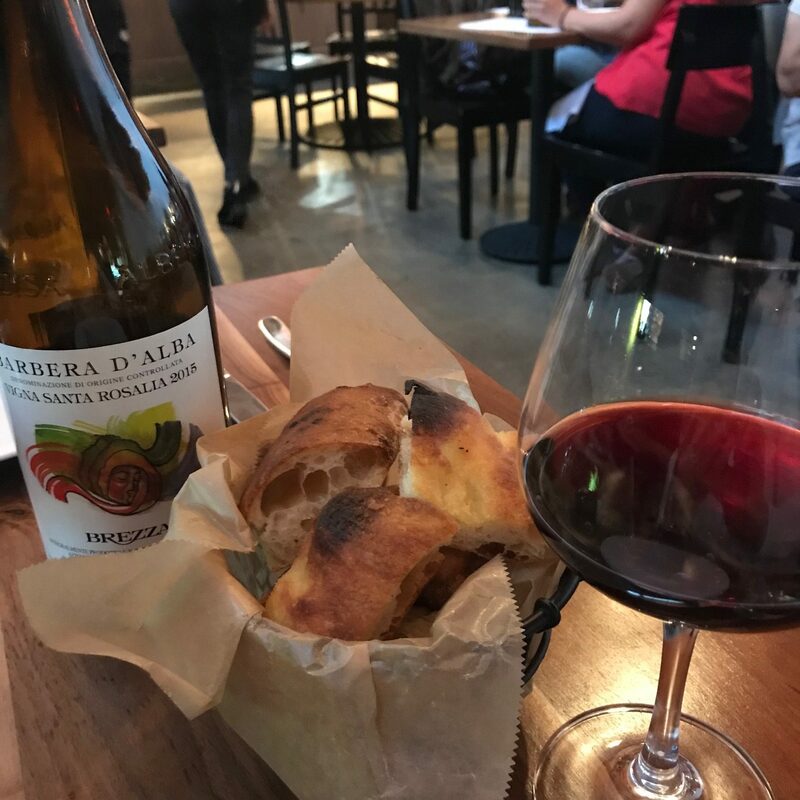 We ordered a well priced bottle of delicious fruit forward Barbera Brezza which complimented the meal ($45). Crystal brought over baskets of complimentary homemade pizza bread….haven’t experienced free bread since Bush was president. The focaccia, crispy on the outside and soft on the inside, is baked next door at Triple Beam. 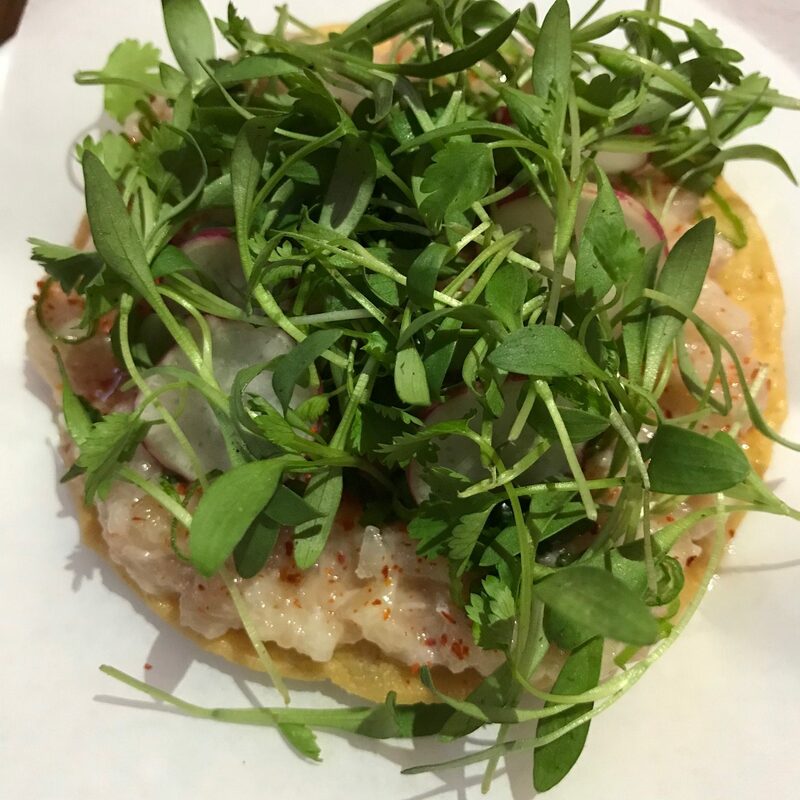 We kicked things off with an amazing Yellowtail Tartare Tostada which was perfectly seasoned with scallion, cilantro and the always inviting ponzu sauce ($10). 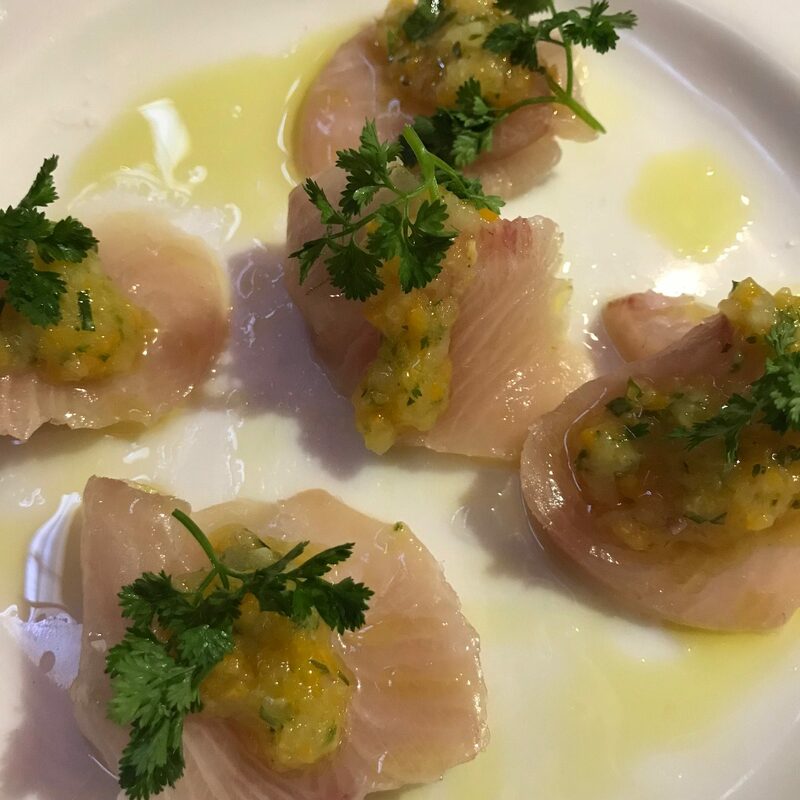 Next up, the thickly sliced delicate and delicious Royal Hamachi Crudo with kumquat Prosecco relish ($16). We passed on the mains although I was tempted by the porcini-rubbed sirloin steak…alas, no one to share it with…not sure I have seen a steak on any menu other than the Sizzler for only $26! 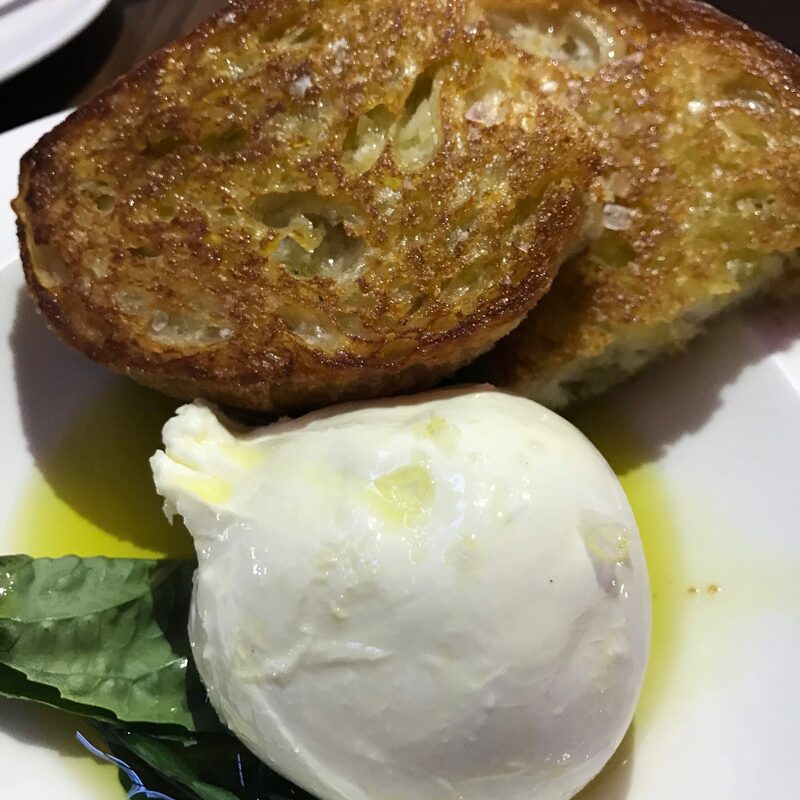 The Burrata di Bufala was huge and the best ever, accompanied by tantalizingly crisp garlic bread and fresh basil, enticingly resting in divine extra virgin olive oil ($17). The pastas were homemade and fabulous. 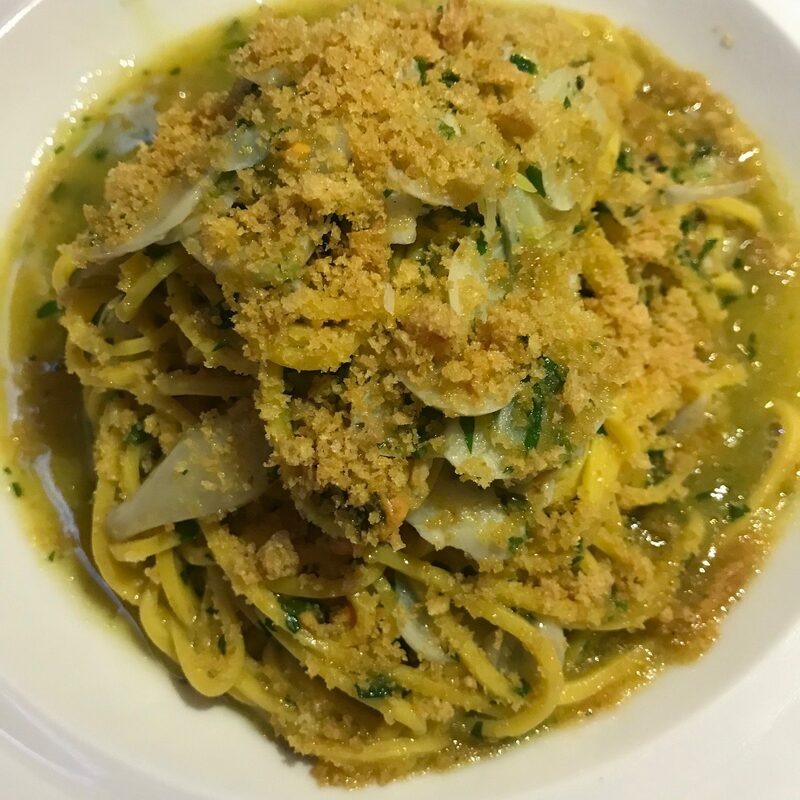 The perfectly seasoned Maccheroni with Salt Spring Black Mussels and Bread Crumbs was beyond wonderful ($18). 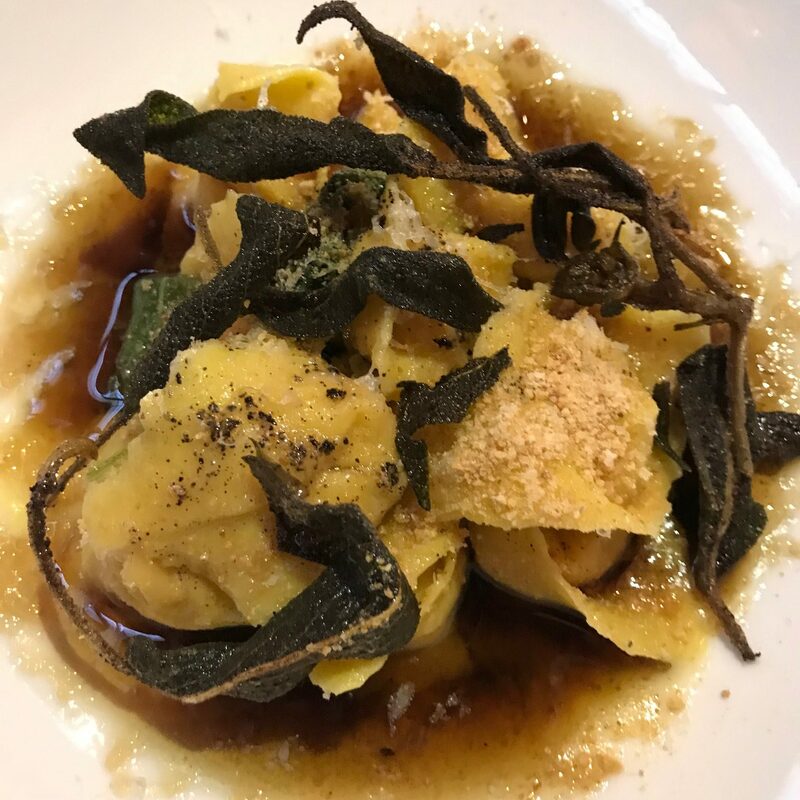 If you love butter and seriously, who doesn’t, the Winter Squash Cappellacci with browned butter, sage and amaretti was so good I wanted to drink down the sauce and request an additional side of crispy sage ($19). The bar and outdoor area were crowded due to the fact that Hippo Hour offers great food at amazing prices. Hippo Hour is a draw, offering $10 burgers with $4 fries, ahi tuna tostada ($8), raviolo ($4) and reasonably priced adult beverages. The only caveat for participating in happy hour is only sitting at either the bar or outdoor patio. Madison, the efficient manager, did a drive by and she is impressive. A recent Nashville transplant, the adorable manager was hard at work and, wait for it, was getting married the very next day. 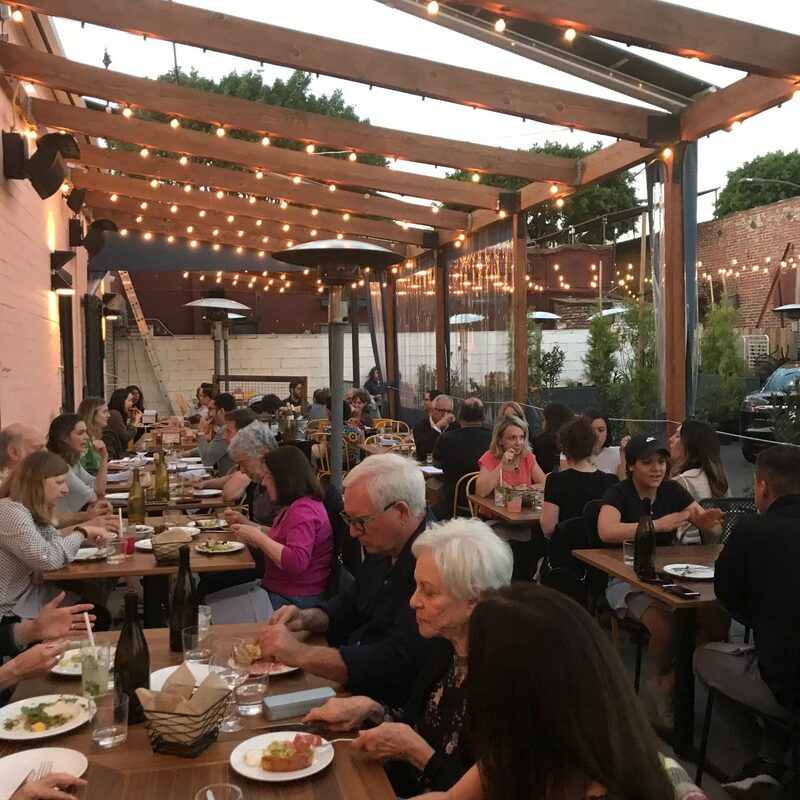 Chef Matt Molina, a James Beard award winner when he was captain of the ship at Osteria Mozza, really delivers. 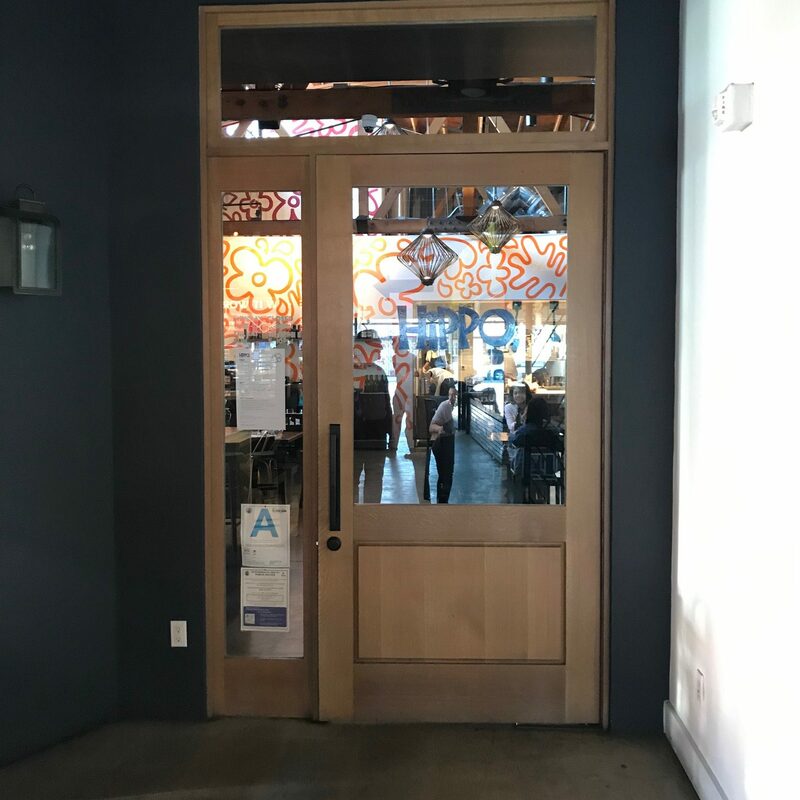 Not only is the food superb with Molina at the helm, but the service is efficient and friendly and the pricing a rare surprise, especially considering the quality of the food. I only wish HiPPO, was in my ‘hood. Baby you can drive my car to Highland Park anytime. HiPPO, Restaurant 5916 1/2 North Figueroa Highland Park, California. Open Tuesday-Thursday and Sunday 5-10pm, Friday and Saturday 5-11pm. Reservations on Resy. Street parking.